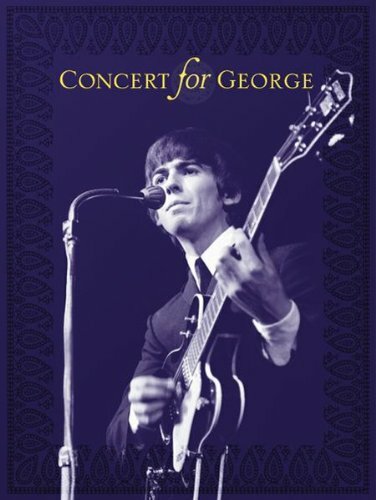 Happy Birthday, George! A look at today’s Facebook postings will quickly reveal that it’s George Harrison’s birthday. Fest For Beatles Fans points to a site that’s offering a 24-hour streaming event of Concert For George, the various artists tribute that was held in his honor shortly after his death. Here’s a link to the Manchester Gallery episode I did for Sunday Morning Coffee With Jeff featuring my George Harrison and Graham Nash soft sculptures. Surprise Attack Of The Smithereens. Don’t know if this took anyone else completely by surprise, but a new Smithereens CD is upon us. Pat Dinizio broke the good news via a Facebook post with a link on to a preview of Smithereens 2011. The first CD of new original material from the band in over ten years has 13 songs that definitely sound like vintage Smithereens material. No word yet on a release date. IPO Info. The schedule for the 10th Annual International Pop Overthrow - Chicago hasn’t been officially announced yet, but word is getting around about some of the performances. Singer-guitarist Mike Cohen, who has been a participant in all of David Bash’s traveling power pop extravaganza's visits to the Windy City, will be performing in two bands again this year. The Abbeys will have an afternoon gig at The Abbey on Saturday, April 16th, and The Pop Dollys will be playing the Red Line Tap on Sunday, April 17th. The April 23rd IPO Chicago showcase at The Abbey will feature a performance by Material re-Issue, which includes original band members drummer Mike Zelenko and bassist Ted Ansani, along with singer-guitarist Phil Angotti. Angotti has effectively covered bands like The Beatles and Squeeze in the past, so there’s no doubt he’ll do fine filling in for the late Jim Ellison. I haven’t seen the entire IPO - Chicago schedule, but this will definitely be one of the highlights. Makes you wonder what else Bash has up his sleeve. The Valley Downs, led by vocalist Marianne Shimkus and bassist Mike Galassini (another longtime IPO veteran) are also on the April 23rd bill, along with Waiflike, Johnny Monaco, The Velvet Cadillacs and Van Go. International Pop Overthrow - Chicago takes place from April 14th to the 23rd. Cover Girl Turns Into A Pumpkin. Rolling Stone, Lost at E Minor, and Jason Kottke at the liberal arts weblog kottke.org have reported that Nicole Fiorentino, the new bassist for Smashing Pumpkins was one of the two little girls who posed on the cover of the Siamese Dream CD. Reportedly, founding member Billy Corgan had no idea of the connection prior to giving her the job. Tears From The Tardis. Earlier this week, The Nerdist blog site brought the sad news that Nicholas Courtney, the actor who played Brigadier Lethbridge-Stewart on Doctor Who has passed away. Courtney was a talented and funny actor who was a perfect foil for a few incarnations of The Doctor. Neux Teune. Matt Dodge & The Lobsters have a new single available on iTunes, called “Wood Jeux Merry Mi?” The title suggests a Christmas song, but this is more high-speed pop in the style of the tunes on the band’s debut CD, Lobsters! Rocking Down Your Street. The Bangles will be playing at The Speakeasy as well as The Cedar Street Courtyard on March 17th as part of this year’s South By Southwest music fest. Ask Grandpa If You Can Borrow His Victrola. The Second Disc, a blog site that offers expanded and remastered music news, revealed this week that Capitol Records plans to release a 78 RPM two-sided Beach Boys single featuring “Good Vibrations” and “Heroes & Villains” for Record Store Day in April. Howell's Hitch. Singer-guitarist Eric Howell, the guy who has been behind some of the funnier song parodies heard on WXRT, will be joined by an assortment of musical guests as he performs songs from his Greatest Hitch! CD at Quenchers Saloon tomorrow night. Power pop veteran Kevin Lee, the opening act, is slated to kick things off at 9:30PM. Quenchers is located at 2410 N. Western Avenue. Cafe Competition. Little Steven’s Underground Garage is spreading the word about Hard Rock Cafe’s Battle Of The Bands 2011 competition. Four groups from around the globe will be chosen to appear at the Hard Rock Calling festival in London on June 24-26, and the prize includes round-trip airfare, three nights in a posh hotel, and some spending cash. Non-musicians can play a role in the selection by choosing a band from events held in their hometown. The Hard Rock Cafe in Chicago has a Semi-Finals Battle Of The Bands showcase coming up on March 3rd, with four bands competing; and a Finals competition on March 10th with the last two local bands going head to head. There will be additional entertainment after each battle, with Band Called Catch slated for March 3rd, and Hollus for March 10th. Doors open at 8:00PM and the shows are open to all ages. A suggested donation of $5 will help benefit Starlight Children’s Foundation Midwest, and there will be a silent auction, as well as food and beverages. See the Hard Rock Cafe site for band rules and registration. 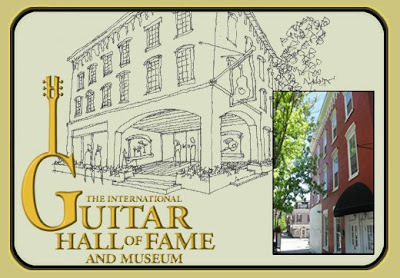 Bob Meshnick, creator of the A Star On The Hollywood Walk Of Fame For The Kinks Facebook page, sends word of The International Guitar Hall Of Fame, which is expected to open in Cooperstown, New York in 2013. Founded by renowned guitarist/teacher Arlen Roth, its mission is to entertain as well as educate. There will be a cafe on the premises, as well as a shop that sells souvenirs, instructional material, and instruments. Roth envisions promotional events such as an annual Cars And Guitars Show that will be staged on the streets of Cooperstown. Hopefully, it will pull in some of the folks who come to visit the neighboring Baseball Hall Of Fame. The IGHOF already has an extensive list of Inductees, divided into categories like Blues and R&B; Rock; Jazz; Country; Folk; and Classical. Some of the musicians already chosen include Robert Johnson, B.B. King, T-Bone Walker, Elizabeth Cotton, Muddy Waters, Jimi Hendrix, Keith Richards, Brian Jones, The Edge, Dave Davies, Ry Cooder, John Lennon, George Harrison, Jennifer Batten, Pete Townshend, Carlos Santana, Jeff, Beck, Jimmie Page, Stephen Stills, Mark Knopfler, Al Di Meola, Larry Carlton, John McLaughlin, Charlie Byrd, Chet Atkins, Maybelle Carter, Waylon Jennings, Roy Clark, Pete Seeger, David Bromberg, Steve Goodman, James Taylor, Bob Dylan, Jose Feliciano, and Andres Segovia. Exhibits for each artist will feature guitars, outfits, photos, and other related items. Roth hopes that fans who come for one particular genre will be inspired to learn more about others. 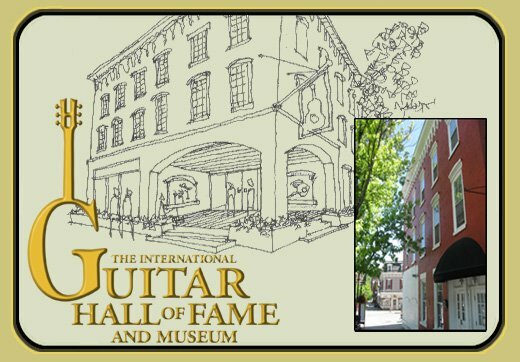 Meshnick and Roth will run the Facebook page for the International Guitar Hall Of Fame, and they will soon provide information on how people can donate money. 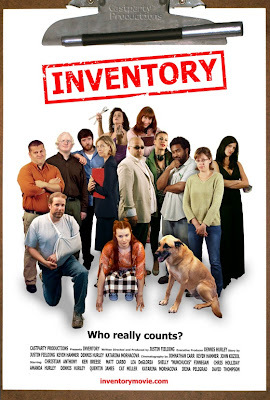 Indie film producer Justin Fielding describes his new flick, Inventory as a cross between The Breakfast Club and Clerks. A collection of misfits discover each other’s quirks and troubles while being stuck together for several hours, but in this case, they’re in a retail setting rather than a high school detention room. The employees of a furniture store are charged with taking inventory during off hours, but are more interested in making out or otherwise slacking off. Perhaps remembering how much the song “Don’t You Forget About Me” by Simple Minds did for The Breakfast Club, Fielding decided he needed to put together a killer soundtrack for Inventory. 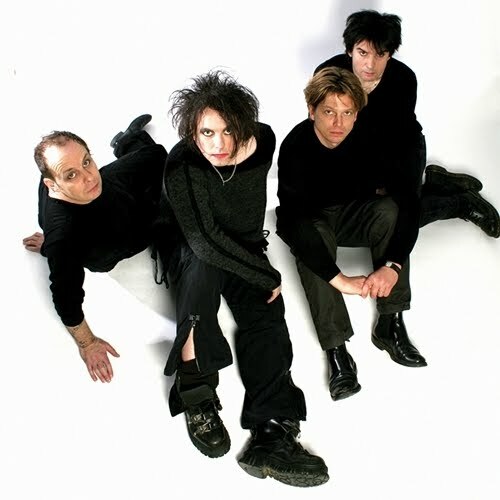 One of the first bands that came to mind was Shoes, who like Simple Minds, have a history of creating melodic pop tunes about romantic relationships. As Fielding states on the film’s website, the more he delved into the Shoes’ catalog, the more difficult it became to pick which tracks he wanted to use. 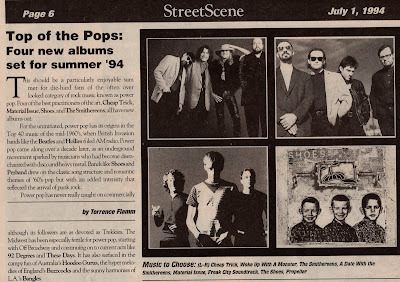 He finally settled on “Cruel You,” “Found A Girl,” and “Twist And Bend It,” which aren’t the best known songs by Shoes, but they’re definitely power pop gems. 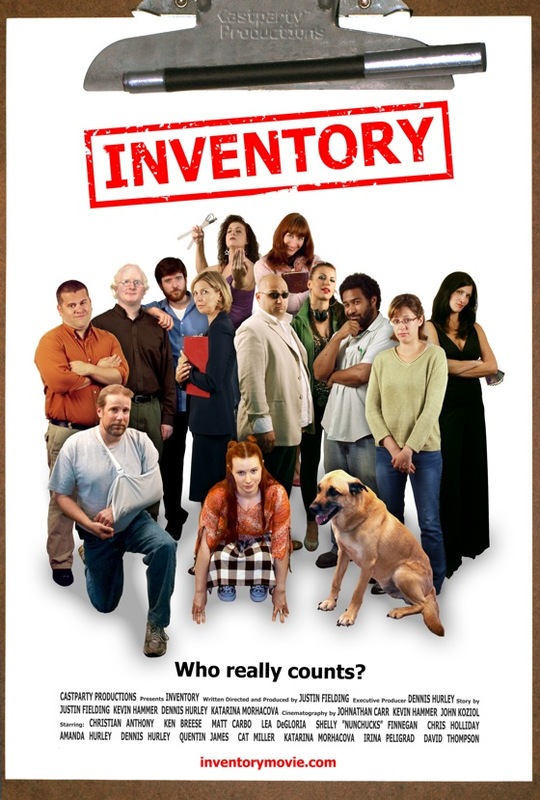 Fielding, who directed and wrote Inventory, based on a story by himself, Kevin Hammer, Dennis Hurley, and Katerina Morhacova, also picked “Either Way,” by The Nerk Twins, a duo comprised of vocalist-guitarist Herb Eimerman and Shoes vocalist-guitarist Jeff Murphy. Other selections on the soundtrack include “Time Is Running Out” by International Pop Overthrow vet Jeremy, “It Must Be Time For Bed” by Stackridge, “Timpani Heart” by The Sun Sawed In 1/2, and “Watch The Movie” by Lolas. The full list of songs for the soundtrack can be viewed on the Inventory website. As of yet, there is no definite decision yet on whether the soundtrack will be available for purchase, either on CD or online. I was once a regular contributor to Streetwise, the Chicago publication created to help homeless people become self-sufficient. I attended the very first public meeting that was held, and stuck with the paper for about three years. I covered a variety of entertainment. 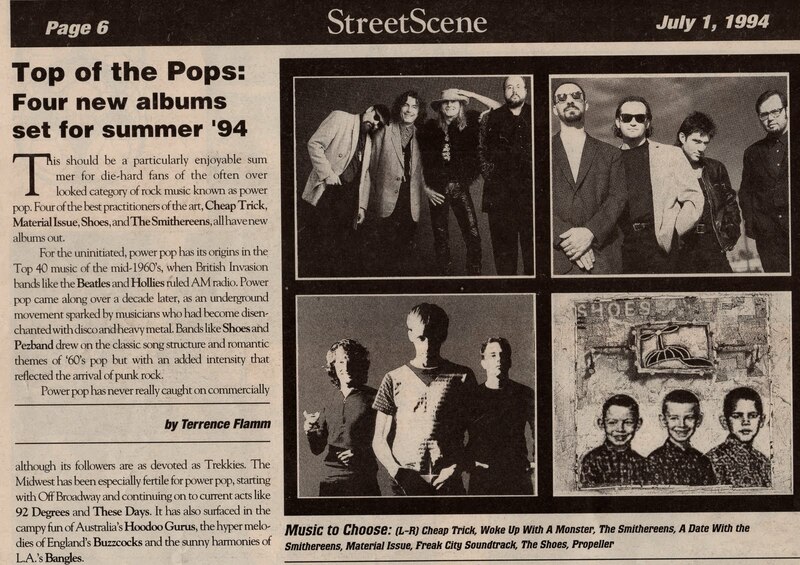 One of my efforts from 1994 was a feature titled Top Of The Pops, in which I started with a brief introduction of power pop, and then went on to review Propeller by Shoes; Woke Up With A Monster by Cheap Trick; Freak City Soundtrack by Material Issue; and A Date With The Smithereens by The Smithereens. I gave them all a thumbs up. In other issues, I reviewed Random Acts, a various artists CD put out by radio station Q101 to benefit Clara’s House, a shelter for women and children; the very first ONXRT Live From The Archives; and Alternative NRG, a Greenpeace Benefit CD. I spotlighted a cool record store called Vagabond Music on Lincoln Avenue that carried a variety of indie acts. I interviewed the improv dance trio Outabounds, as well as Mary-Arrchie Theatre’s Artistic Director, Rich Cotovsky. Back in those days, it always aggravated me when people said they only bought Streetwise to be nice, and threw it away without ever reading it. I attended staff meetings where editors strived to find ways to make the paper interesting. I’m sure the same holds true to today. Streetwise continues to cover the theater scene, restaurants, and art, as well as Chicago’s turbulent political scene. So the next time you shell out $2 for a copy, take a peek inside. 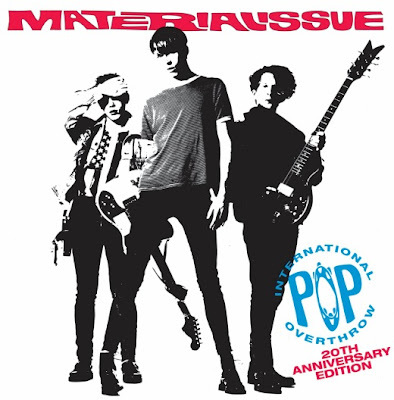 WXRT and the blogs Second Disc and Slicing Eyeballs are heralding the arrival of a 20th Anniversary edition of Material Issue’s flawless debut, International Pop Overthrow. The CD will be on the Hip-o Select label, with eight bonus tracks, including covers of Thin Lizzy’s “Cowboy Song,” Sweet’s “Blockbuster,” and Simon And Garfunkel’s “The Boxer.” The April 5th release for International Pop Overthrow comes just a few weeks before the globe-trotting power pop festival that bears its name returns to Chicago. Mike Zelenko, the former drummer for Material Issue, was on hand for singer-guitarist Phil Angotti’s People And Places CD release show at the Park West last night. Angotti has created a fun video for the song “Parting For A While” that recreates that touching/funny “This Boy” scene featuring Ringo Starr in the Hard Day’s Night movie. The new video also makes a stop at Quencher’s Saloon, with local musicians such as Brad Elvis making cameo appearances. Former Romeo Void singer Debora Iyall has announced on Facebook that she will be sharing a bill with The Motels on March 25th at the Red Devil Lounge in San Francisco. Happy Birthday to Matt Dodge, the singer-guitarist who fronts the Minnesota-based Matt Dodge & The Lobsters. The band proved to be a pleasant surprise at last year’s International Pop Overthrow - Chicago last year by exceeding the boy band impression I got from its MySpace page with a hard-hitting set of power pop. Hope they’ll be back again this year. Rolling Stone is reporting that the original lineup of The Cars, with the exception of Benjamin Orr, who passed away in 2000, have recorded a new CD. Move Like This will be released on May 10th, but so far, Ric Ocasek and company have no definite plans for touring. Tickets for Wax Trax Retrospectacle, a tribute to the influential industrial label that will include performances by Front 242, My Life With The Thrill Kill Kult, and Chris Connelly,among others, will go on sale tomorrow. The show takes place on April 15th at Metro. With all the talk around town about cutting back on the big name acts at Taste Of Chicago, and then tossing Celtic Fest and other formerly stand-alone events into the watered-down mix, it might be a good time to remember ChicagoFest. This 10-day outdoor celebration sprang to life on the lakefront every August, from the late 1970s through 1983. 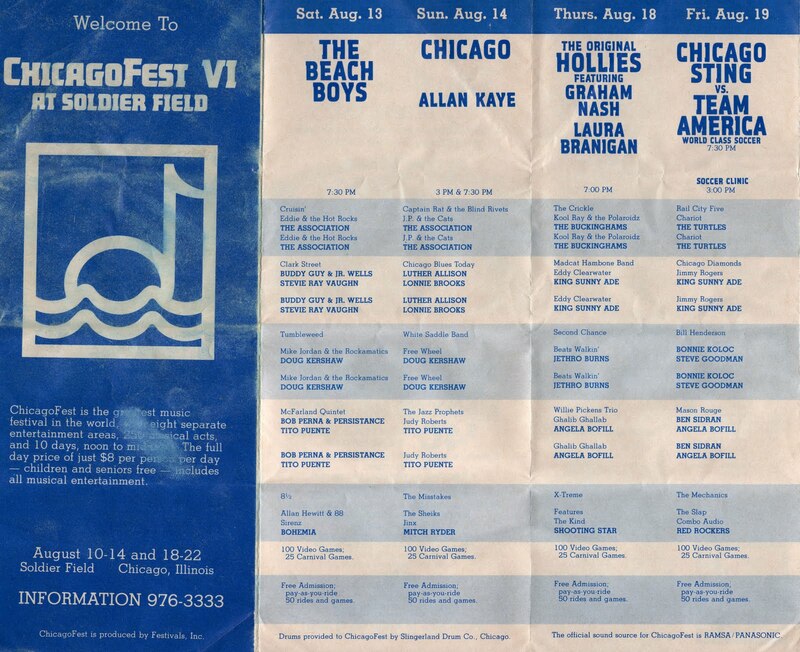 From what I can remember, ChicagoFest was always viewed in some quarters as an extravagance the city could ill afford, but for music fans, it was pure heaven. If one of the current mayoral candidates could figure out a way to bring it back, and make a profit, that would be something worth voting for. ChicagoFest already had one foot in the grave by the time number VI came around. It had been abandoned by the mayor’s office and shagged from its normal home at Navy Pier (before its transformation into a major tourist attraction) and relocated to Soldier Field (before its transformation into whatever it’s supposed to be now). 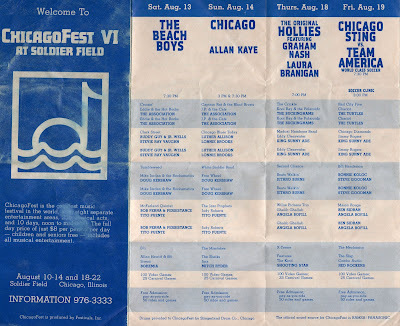 Still, this Chicago Park District managed version drew an amazing assortment of acts that could be enjoyed for a paltry $8 per day admission. Rock and roll headliners on the Main Stage that year included Sammy Hagar; Charlie Daniels Band; The Beach Boys; Chicago; The Hollies with Graham Nash; and a Joe Walsh/Cheap Trick double bill that also included The Elvis Brothers. The Temptations, The Four Tops, and Mary Wells performed on opening night, and other Main Stage attractions included Alabama, George Strait and The Nitty Gritty Dirt Band; and The Impressions featuring Jerry Butler and Curtis Mayfield. The Pepsi-Cola Rock Stage offered a mix of local acts like Heavy Manners, Scraps, Bohemia, B.B. Spin, Sirenz, The Kind, Phil ‘N’ The Blanks, and Spooner (actually from Wisconsin), with national acts like Red Rockers and Marshall Crenshaw. The Budweiser Blues ‘N’ Bud WXRT Stage served up the likes of Koko Taylor, Son Seals, Stevie Ray Vaughn, Buddy Guy & Junior Wells, Luther Allison, King Sunny Ade, Corky Siegel Band, Willy Dixon, and Big Twist & The Mellow Fellows. Steve Goodman, Bonnie Koloc, Heartsfield, Doug Kershaw, and Jethro Burns kept things rocking at the Old Style Beer Country Stage, and Stanley Turrentine, Dizzy Gillespie, Tito Puente, Judy Roberts, The Original Ramsey Lewis Trio, Angela Bofill, and Wynton Marsalis were among the better known acts who performed at the Miller Highlife Jazz Scene. There was also a Vintage Rock Stage that brought in The Turtles, The Buckinghams, The Association, and David Clayton-Thomas. Each year of ChicagoFest brought another banquet of astounding talent. I can still remember picking up the schedules in record stores, and planning how many nights I would be going. By comparison, Taste Of Chicago, even before its recent downsizing, has always seemed like barely a mouthful. The online entertainment and art newsletter Flavorpill recently had a link to a clever blog hosted by Chris Hardwick called Nerdist. A February 8th post by Danny Damore dealt with artist Bob Canada’s latest work, Doctor Who Infographic; a sort of cartoon wall chart explaining everything there is no know about the long-running British sci-fi series. It’s not only great fun for those of us who have followed Doctor Who for almost as long as the title character has been time traveling, it’s also an eye-catching work that should delight even non-fans. That brought to mind the 1988 import single “Doctorin’ The Tardis.” Released on TVT Records, it’s a mash up of Gary Glitter’s 1970s glam anthem “Rock And Roll Part 2” and the Doctor Who theme. There’s also some robotic dialogue as the show’s chief villains, the Daleks deliver their catch phrase, “exterminate!” over the tribal beat. 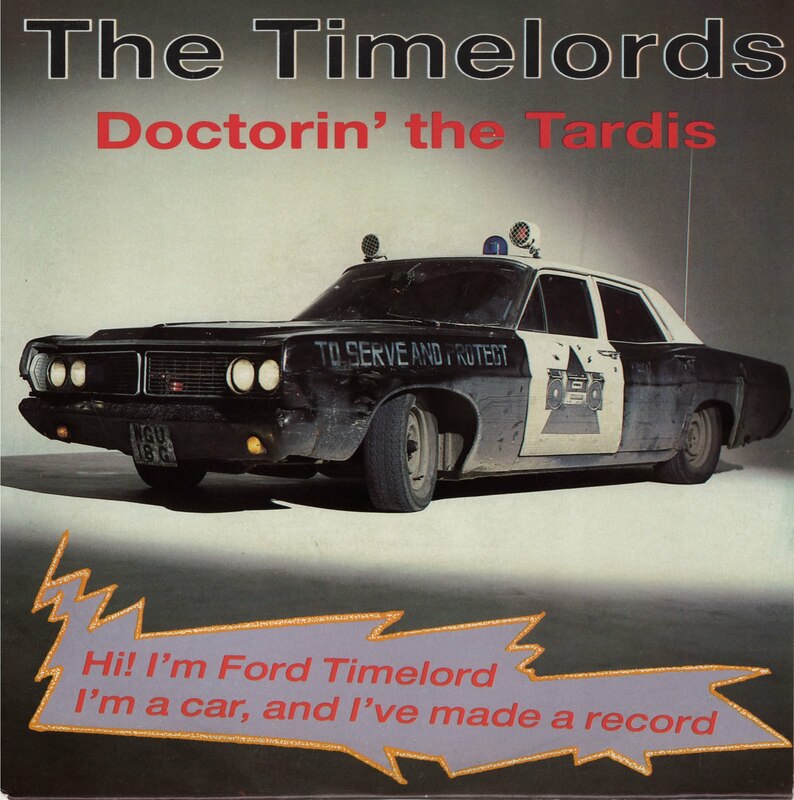 The record is credited to The Timelords, a fictional trio whose front person, or front vehicle, is a police car named Ford Timelord. Sports fans across America (the world?) know “Rock And Roll Part 2” as a rally song, so if The Doctor ever decides to become a professional athlete, “Doctorin’ The Tardis” could be his theme song. Actually, the Matt Smith version of The Doctor did play soccer in one episode, but that wasn’t in a stadium. Smack! The Hollies plant smooches on the real life Jennifer Eccles. Photo from The Hollies Live tour book. Today’s post is dedicated to my lovely wife Pam, and concerns the song we chose as the first dance for our wedding. Like The Beatles’ “Across The Universe,” The Hollies’ “Wings” was originally only available on No One’s Gonna Change Our World, a various artists charity album that benefited the World Wildlife Fund. It was released in 1969, and also featured a version of “What The World Needs Now Is Love” by Cilla Black, “Bend It” by Dave Dee, Dozy, Beaky, Mick and Tich, and “Marley Purt Drive” by The Bee Gees. “Wings” is a romantic ballad that mixes nature, magic, and a touch of defiance. The lyrics, set to a delicately beautiful arrangement, celebrate the uplifting power of love, and ask, “Why do they want us to walk when we can fly?” This could be a comparison to a butterfly (the U.K. title of one of The Hollies’ best albums), or maybe the two lovebirds are actually able to take flight. The only thing stopping them are jealous people and disbelievers. “If they break us up, we’ve only got ourselves to blame,” the song concludes. This rare gem is another example of why The Hollies are a benchmark for harmony vocals to this day. “Wings” is now available on various Hollies compilations. Incidentally, the photo above depicts a meeting between The Hollies and a young Scottish woman named Jennifer Eccles. The title for the band’s hit single “Jennifer Eccles” was derived from the first name of lead vocalist Allan Clarke’s wife, and the maiden name of Graham Nash’s wife. They were surprised to learn there was an actual a person by that name, who turned out to be an avid Hollies fan. 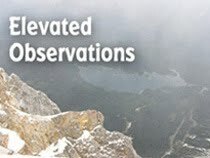 Happy Valentine's Day to all who visit this blog. Lost At E Minor, the web-based newsletter that covers various aspects of the arts, reported recently on what it calls the largest ever Syd Barrett exhibit. A link to the U.K. Idea Generation PR agency’s website features a post by Rachel (no last name given) on Syd Barrett/Art and Letters, which will run from March 18th through October 4th at the agency’s Gallery space in London. The exhibition will include photographs, Barrett’s love letters, and his art. Rosemary Breen, Barrett’s sister, is quoted as saying, “Syd would be so surprised and pleased to know this exhibition is taking place. 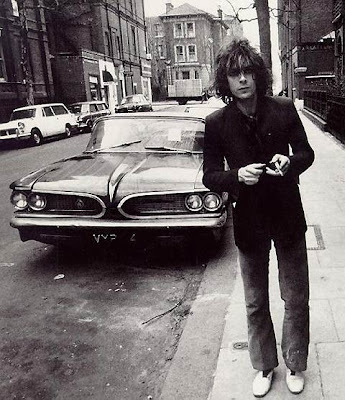 He was never more content than when sketching or painting, be it cartoons, abstracts, or still life.” Idea Generation vows that Syd Barrett/Art And Letters will shed new on the late musician’s art and music. The exhibition will also celebrate the release of the book, Barrett: The Definitive Visual Companion. Today is the last day fans of The Strokes can get a free download of their new single, “Under Cover Of Darkness” on the band’s website. It will be available for purchase on iTunes starting February 15th. The Strokes’ full-length CD Angles hits stores on March 22nd, and there will also be a limited edition “Under Cover Of Darkness” 7 inch single released as part of National Record Store Day on April 16th. Four bands will be on bill at Martyr’s this February 25th, including Secret Colours, Hollus, Warm Ones, and King Sparrow. Show starts at 9:00 PM.Tickets are on sale for $7 though February 14th at The Reader's Real Deal site. Dot Dot Dot, Palatine’s gift to the techno pop scene, will be at The Bottom Lounge tomorrow night, and they’re bringing a bus load of people with them. Fans can climb aboard just before the bus leaves Durty Nellie’s in Palatine at 7:00PM and enjoy BYOB food and alcohol all the way to Chicago. The few remaining tickets for the sojourn can be picked up at the band’s website. The show at The Bottom Lounge starts at 9:00 PM. Glenn Tilbrook recently posted on Facebook that Squeeze will be playing a one night only show backed by an 18 piece orchestra at The Royal Albert Hall on March 22nd. It’s a benefit for the Teenage Cancer Trust. The Feeling is also on the bill. Phil Angotti’s People And Places CD release party has been rescheduled for Thursday, February 17th at the Park West in Chicago. I’m guessing the original gig got postponed because it was amidst the historic blizzard and cold snap. In addition to performing the songs from the new CD, Angotti and a group of friends will be serving up some older material and cover tunes. Guest musicians include Mike Zelenko, Carolyn Engelmann, Tommi Zender, Casey McDonough, Ellis Clark, Charlie Short, Eric Howell, Nick Boettcher, Martha Larson, Charlie Piper, and others. Those in attendance will also get to see a new Angotti video featuring local musicians. Admission is $10 and the show starts at 8:00PM. In a touching example of how closely knit the local music scene is, Angotti made sure his rescheduled gig would not conflict with either of the two Lou-Aid benefits planned to help local musician Lou Hallwas (Penthouse Sweets, The Differents) with bills from a recent hospital stay. The next Lou-Aid showcase takes place on the 24th and will feature The Handcuffs, Tomorrow The Moon, Penthouse Sweets, Organ Wolf, and We Repel Each Other. Suggested donation is $10 or more. Heart will be featured prominently in the upcoming Rock And Roll Hall Of Fame’s Women Who Rock: Vision, Passion, Power exhibit, which will cover female artists from the 1920s up to today. In an interview on the museum’s website, Ann Wilson reflects on the changing role of women in the traditionally macho genre since the days she and her sister Nancy first broke the gender barrier. “When Nancy and I came on the scene in 1976 we encountered constant sexism,” Wilson states. She feels that today’s female rockers have much more freedom, but that it’s still a struggle. “I would advise young, aspiring female musicians to be ready to make astounding sacrifices to get where they want to go.” Women Who Rock: Vision, Passion, Power opens at the museum on May 13th. The Rock And Roll Hall Of Fame is also presenting Girls On Film: 40 Years of Women In Rock, a photography exhibit that opens on Valentine’s Day. Rock Art Show, a company that sells music-based art and photography, is celebrating The Beatles’ first appearance on The Ed Sullivan Show 47 years ago with a 21 x 27 inch framed piece that includes a photograph of the band performing the TV program, surrounded by other items related to the youngsters from Liverpool, like a replica of a ticket, miniature albums covers, and buttons. Rock Art Show also has framed art of The Beatles by Ron Campbell and Al Hirschfeld. Note: This review originally appeared in the Illinois Entertainer in 2006. Monsters Are Waiting back charismatic frontperson Annalee Fery with peppy arrangements driven by guitars on Fascination. Fery’s keyboards playing is also an essential ingredient as the Los Angeles-based band pursues a decidedly 1980s approach. A few tracks, like the ska-influenced “Christine” and power ballad “Time” border on being overly commercial, but for the most part, Fascination is a fun, if not ground-breaking debut. “Last Goodbye” isn’t the Altered Images’ hit, but with its chiming guitars and airy vocals, it would have fit right in on any of the U.K. band’s records. Fery also channels Deborah Harry at her dreamiest on the mid-tempo title track and “Ha Ha,” while “Firefly” is a bit more psychedelic. The off-kilter “Don’t Go,” sparked by Fery’s seductive vocals, as well as the more energetic “A Perfect Stranger” and “Monsters” go a long way toward helping Monsters Are Waiting establish its own sound. The Telepathic Butterflies are part of an emerging class of bands whose careers were given a huge boost via the buzz generated on music blogs. Sadly, Broken Hearted Toy was not among these influential sites, but having heard the Canadian power pop trio’s 2008 release, Breakfast In Suburbia, I’m happy to make a belated leap onto the bandwagon. It’s easy to see what the excitement was about. 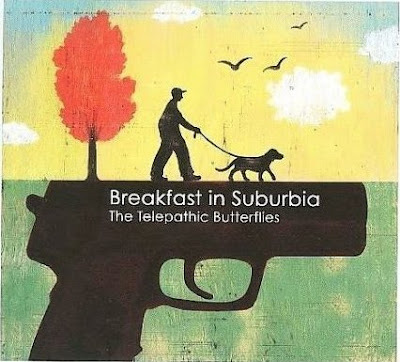 The Telepathic Butterflies strike a balance between original British Invasion influenced pop and more energetic modern rock while delivering clever lyrics through adventurously arranged harmony vocals. On Breakfast In Suburbia, they craft catchy tales of everyday life like “While You’re Asleep” and “If It’s All Too Much,” or in the case of “The Caution Slumber,” which evokes Revolver era Beatles, a tale of the end of life. Go Time! 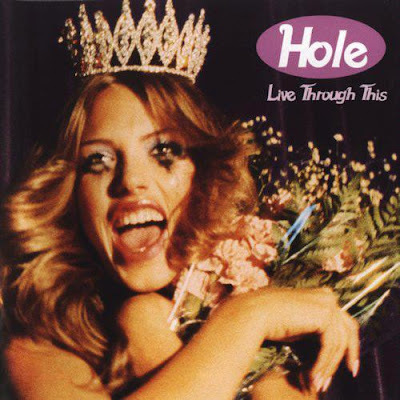 describes its musical approach as taking power pop to less-traveled latitudes, but after listening to Hit It, it might be more accurate to say the Chicago-based band brings power pop melodies to hard rock. 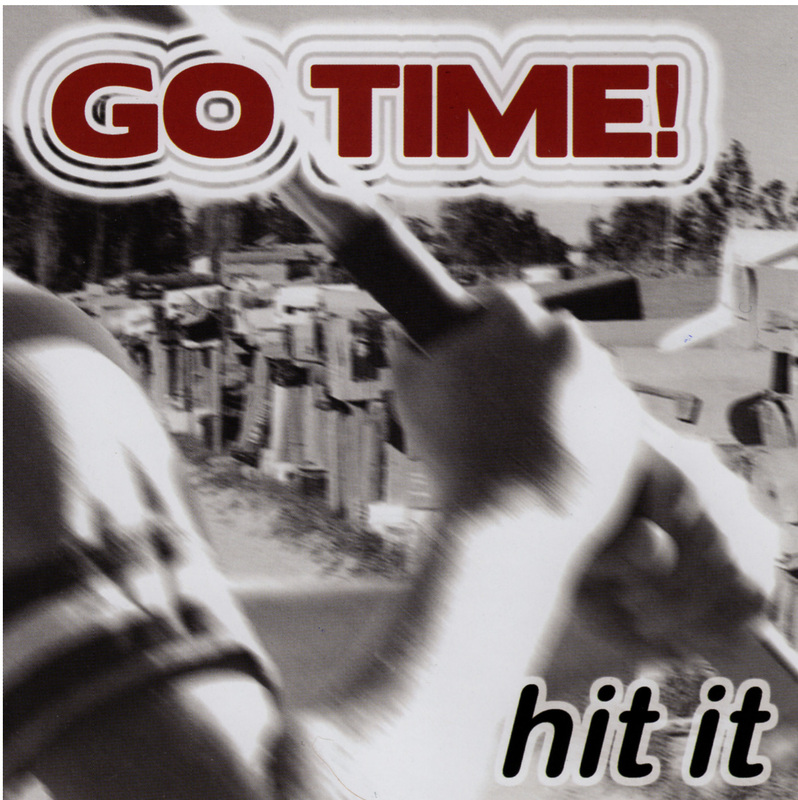 Certainly, the inspiration for the 14 energetic songs on this follow-up to Go Time!’s 2009 debut Speak comes from The Rolling Stones rather than The Beatles. The CD has a raw, live performance sound fueled by the twin guitars of vocalist-guitarist Scott Niekelski and guitarist-vocalist Paul Schmidt. Niekelski has a no frills singing style, and although Schmidt, drummer Steve Grzenia, and bassist Mark Marketti provide backup vocals, you won’t find the lush harmonies often associated with power pop. The band never loses track of the melody while charging through songs like “Sudden Death” and “Wilmette,” and adds a high speed instrumental coda to the already impressive “Happy End.” The mid-tempo “Lawn & Garden” has a Creedence Clearwater Revival feel, while “One & Lonely” taps into catchy garage rock. Toward the end of Hit It, some of the riffs start to sound the same, and Go Time might want to think about exploring more variations on its vocal arrangements. Still, this is a solid effort from a group that has pretty much staked out its own territory. Wake Up & Dream is Ultraviolet Eye’s first CD since the 2007 release Platform Song Cycle and a more polished effort that its bratty but fun 2000 debut Heroin Geek The Movie. Founding members Jeff Charreaux and Roy Appleman, who have created soundtrack music for a number of independent films, devote all of Wake Up to the genre of coming of age movies. 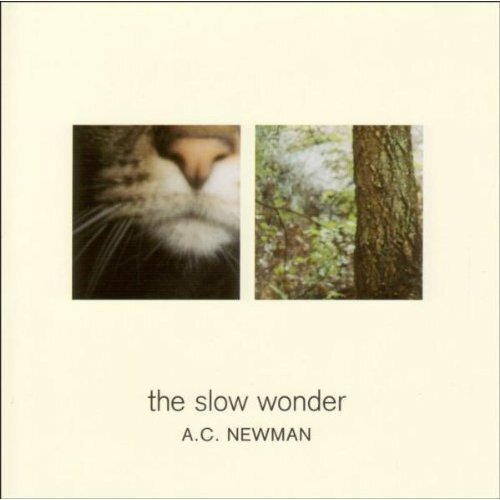 The theme might not be readily apparent to the average listener, but it doesn’t matter. Charreaux and Appleman, along with musician/engineer Jett Farley have created an impressive collection of dreamy pop tunes that for the most part, exude a sense of excitement about what the future might bring. “Don’t let the past get you down, be a star,” Charreaux advises on “Great Expectations,” an energetic song with inventive harmonies and a steady beat. 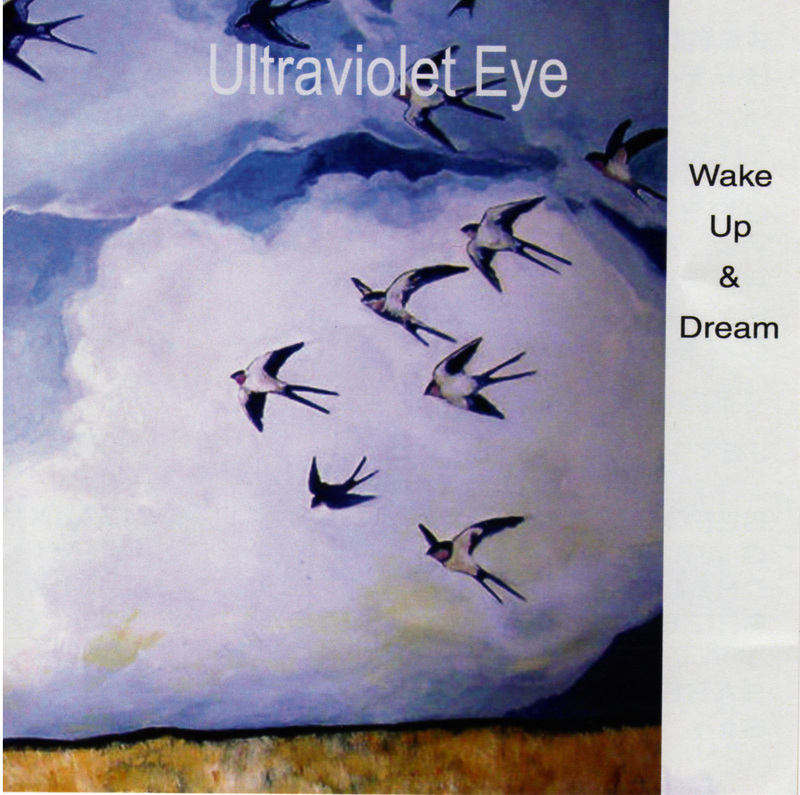 The title track also sets an optimistic view to a fetching power pop arrangement, while “Before Sunrise” entices with an irresistible melody and layered vocals. The lighter than air “Floundering” offers lilting keyboards and lines like, “a perfect day to last forever.” “Gattaca” sports the most obvious celluloid reference, as Ultraviolet Eye taps into vintage new wave to honor the 1997 sci-fi flick’s cautionary tale of using genetic manipulation to build perfect people. Farley picked four of the ten tracks for synth-based bonus remixes that add a festive spin to the original material. Let It Go, Sweetheart. The Bangles have released more info regarding the vinyl 45 record they’re putting out as a sneak preview of their upcoming CD. 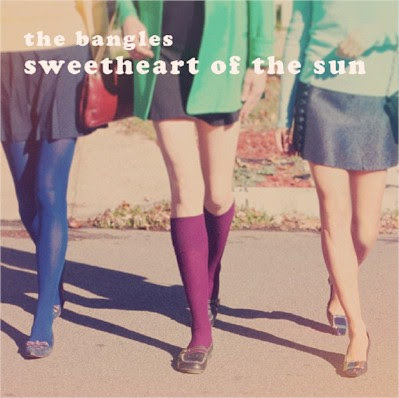 It will feature the new song, “Sweetheart Of The Sun,” along with acoustic takes on “Hazy Shade Of Winter” and “Let It Go,” as well as a cover of Matthew Sweet’s “Anna Lee.” Sweet has been working with the band on their new disc, and he recorded two CDs worth of cover tunes with Susanna Hoffs. The Bangles official website says the 45 will be available at all Maurice’s, but hopefully, there will be other purchasing options for those of us who don’t have one of the trendy clothing store’s locations in our vicinity. Pete Says Hello And We Hit The Ceiling. There’s also good news concerning the return of another power pop band that started in the 1980s. Peter Holsapple recently tweeted that the long-awaited dBs album is almost finished. He added, “Thank you for your patience. It will be rewarded, I think, exponentially.” It’s a safe bet he’s right. Feel Lucky, Punk? Elvis Costello is coming back to Chicago, and he’s bringing his spinning wheel with him. Tickets go on sale tomorrow for the May 15th date of Costello’s “The Revolving Tour,” AKA The Return Of Spectacular Spinning Songbook at the Chicago Theater. He’ll be backed by The Imposters as he plays tunes randomly selected by audience members who play a sort of mammoth roulette game. Costello has used the device in the past, and I believe it resulted in him covering songs by other artists as well, such as “King Midas In Reverse” by The Hollies. We Know Something About Tomorrow. The Bad Examples have just released an impressive new CD in Smash Record. Meanwhile, the band’s guitarist Steve Gerlach will be performing with his sci-fi rock side project Tomorrow The Moon at Beat Kitchen on February 24th as part of the Lou-Aid benefit. It’s the band’s first show in almost half a year. Two For Lou. Actually, several bands will be coming together for Lou-Aid on a pair of Thursday nights later this month. Proceeds will go to help musician Lou Hallwas (Penthouse Sweets, The Differents) with bills from a recent hospital stay. The showcase on the 10th at Quenchers features Suzy Brack And The New Jack Lords, Phil Angotti, The Webstirs, John’s People, and Hallwas himself. The showcase on the 24th at Beat Kitchen will see performances from The Handcuffs, the previously mentioned Tomorrow The Moon, Penthouse Sweets, Organ Wolf, and We Repel Each Other. Suggested donation is $10 or more. Rocking In Palatine. Yellow Matter Custard, a band comprised of veteran musicians Mike Portnoy, Neal Morse, Paul Gilbert, and Kasim Sulton, will be performing A Tribute To The Beatles at Durty Nellie’s in my humble hometown on Sunday, February 27th, at 7:30 PM. The $30 tickets are available exclusively at The Drum Pad, which is located at 48 W. Palatine Road, a short walk from Durty Nellie's. FIF Goes On Without Me. My old comedy group Famous In The Future will air its latest TV special this Monday night at 9:00PM on Channel 19 Cable Access in Chicago. The show will include skits like the children’s tale/political movement mashup “Alice And The Tea Party” from Famous In The Future’s appearances at the past two annual Abbie Fests at the Mary-Arrchie Theatre. It can also be seen on Channel 19 on Tuesday, February 8th at 4:00PM, and Saturday February 26th at 10PM. Be Sure To Bring Them Something Silver. Speaking of Mary-Arrchie, the theatre will be staging a 25th Anniversary Benefit on June 13th at the Mayne Stage venue on Chicago’s north side. Tickets go on sale tomorrow. Hats off to Rich Cotovsky and the crew for all those years of in-your-face theatrical productions, and for creating the annual Abbie Hoffman Died For Our Sins festival. A New LSD Blows In. WXRT morning DJ Lin Brehmer and WBBM Newsradio morning traffic anchor Bart Shore both played an updated version of the vintage folk rock hit “Lake Shore Drive” by Aliotta, Haynes, & Jeremiah this morning. It’s a very topical parody created by Skip Haynes that describes hazardous conditions that stranded several motorists on the title street this past Tuesday night. I Am The Eggman, I Am The Clay Man. Sarah Louise Klose contributed a short item to the File column of this month’s Illinois Entertainer about an artist named Taylor Zitman, who creates hand-designed polymer clay figures of rock and roll stars. The photo showed The Beatles in their Sgt. Pepper gear, and Zitman has also molded likenesses of Lady GaGa and Amy Winehouse. She sells her creations for $50 to $70, depending how much work is involved. Special orders can be made through her website.